The examples in this guide are meant to introduce you to the basics of citing sources using Kate Turabian’s A Manual for Writers of Term Papers, Theses, and Dissertations (seventh edition). Kate Turabian created her first “manual” in 1937 as a means of simplifying for students The Chicago Manual of Style; the seventh edition of Turabian is based on the 15th edition of the Chicago Manual. For types of resources not covered in this guide (e.g., government documents, manuscript collections, video recordings) and for further detail and examples, please consult the websites listed at the end of this guide, the handbook itself (LAU Ref Desk LB 2369 .T8 2007) or a reference librarian. Whenever you refer to or use another’s words, facts or ideas in your paper, you are required to cite the source. Traditionally, disciplines in the humanites (art, history, music, religion, theology) require the use of bibliographic footnotes or endnotes in conjunction with a bibliography to cite sources used in research papers and dissertations. For the parenthetical reference (author-date) system (commonly used in the sciences and social sciences), please refer to the separate guide Turabian Parenthetical/Reference List Style. It is best to consult with your professor to determine the preferred citation style. Indicate notes in the text of your paper by using consecutive superscript numbers (as demonstrated below). The actual note is indented and can occur either as a footnote at the bottom of the page or as an endnote at the end of the paper. To create notes, type the note number followed by a period on the same line as the note itself. This method should always be used for endnotes; it is the preferred method for footnotes. However, superscript numbers are acceptable for footnotes, and many word processing programs can generate footnotes with superscript numbers for you. 7. Page numbers of citation (for footnote or endnote). 1Michael Twyman, Lithography 1800-1850 (London: Oxford University Press, 1970), 145-146. 1Valerie M. Hudson, ed., Culture and Foreign Policy (Boulder: L. Rienner Publishers, 1997), 5. Soviet Union, edited by Alexander Zouev (Armonk, NY: M. E. Sharpe, 1999), 44. Note the different treatment of an editor’s name depending on whether the editor takes the place of an author (second example) or is listed in addition to the author (third example). 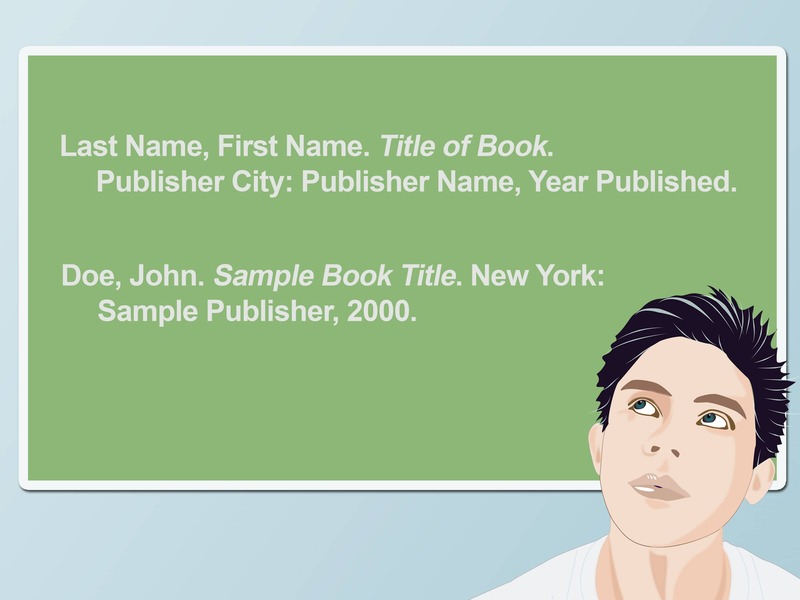 Method A: Include the author or editor’s last name, the title (or an abbreviated title) and the page number cited. 2Hudson, ed., Culture and Foreign Policy, 10. 2UNICEF, Generation in Jeopardy, 48. Method B: Include only the author or editor’s last name and the page number, leaving out the title. Use Method A if you need to cite more than one reference by the same author. 1. Michael Twyman, Lithography 1800-1850 (London: Oxford University Press, 1970), 145-146. Ibid., short for ibidem, means “in the same place.” Use ibid. if you cite the same page of the same work in succession without a different reference intervening. If you need to cite a different page of the same work, include the page number. For example: 2Ibid., 50. Hudson, Valerie, N., ed. Culture and Foreign Policy. Boulder: L. Rienner Publishers, 1997. Twyman, Michael. Lithography 1800-1850. London: Oxford University Press, 1970. Former Soviet Union. Edited by Alexander Zouev. Armonk, NY: M. E. Sharpe, 1999.
and K. Paul, 1982), 196. 1Toyoma Hitomi, “The Era of Dandy Beauties,” in Queer Voices from Japan: First-Person Narratives from Japan’s Sexual Minorities, eds. Mark J. McLelland, Katsuhiko Suganuma, and James Welker (Lanham, MD: Lexington Books, 2007), 157. For references with more than three authors, cite the first named author followed by “et al.” Cite all the authors in the bibliography. of Pennsylvania Press, 1979), 56. 2Keat and Urry, Social Theory as Science, 200. 2Meyer, et al., The Concept of Style, 90. Keat, Russell, and John Urry. Social Theory as Science, 2d. ed. London: Routledge and K. Paul, 1982. Hitomi, Toyoma. “The Era of Dandy Beauties.” In Queer Voices from Japan: First-Person Narratives from Japan’s Sexual Minorities, edited by Mark J. McLelland, Katsuhiko Suganuma, and James Welker, 153-165. Lanham, MD: Lexington Books, 2007. Meyer, Leonard B., Kendall Walton, Albert Hofstadter, Svetlana Alpers, George Kubler, Richard Wolheim, Monroe Beardsley, Seymour Chatman, Ann Banfield, and Hayden White. The Concept of Style. Edited by Berel Lang. Philadelphia: University of Pennsylvania Press, 1979. Follow the guidelines for print books, above, but include the collection (if there is one), URL and the date you accessed the material. 1John Rae, Statement of Some New Principles on the Subject of Political Economy (Boston: Hillard, Gray and Company, 1834), in The Making of the Modern World, http://galenet.galegroup.com/servlet/MOME?af=RN&ae=U104874605&srchtp=a&ste=14 (accessed June 22, 2009). 2Rae, Statement of Some New Principles on the Subject of Political Economy. Rae, John. Statement of Some New Principles on the Subject of Political Economy. Boston: Hillard, Gray and Company, 1834. In The Making of the Modern World, http://galenet.galegroup.com/servlet/MOME?af=RN&ae=U104874605&srchtp=a&ste=14 (accessed June 22, 2009). For an article available in more than one format (print, online, etc. ), cite whichever version you used. 1Lawrence Freedman, “The Changing Roles of Military Conflict,” Survival 40, no. 4 (1998): 52. Here you are citing page 52. In the bibliography (see below) you would include the full page range: 39-56. 1John T. Kirby, “Aristotle on Metaphor,” American Journal of Philology 118 (1997): 520. 2Freedman, “The Changing Roles of Military Conflict,” 49. 2Kirby, “Aristotle on Metaphor,” 545. Freedman, Lawrence. “The Changing Roles of Military Conflict.” Survival 40, no. 4 (1998): 39-56. Kirby, John T. “Aristotle on Metaphor.” American Journal of Philology 118 (1997): 517-554. Cite as above, but include the URL and the date of access of the article. 1Molly Shea, “Hacking Nostalgia: Super Mario Clouds,” Gnovis 9, no. 2 (Spring 2009), http://gnovisjournal.org/journal/hacking-nostalgia-super-mario-clouds (accessed June 25, 2009). 1John T. Kirby, “Aristotle on Metaphor,” American Journal of Philology 118, no. 4 (Winter 1997): 524, http://muse.jhu.edu/journals/american_journal_of_philology/v118/118.4.kirby.html (accessed June 25, 2009). 1Michael Moon, et al., “Queers in (Single-Family) Space,” Assemblage 24 (August 1994): 32, http://www.jstor.org/stable/3171189 (accessed June 25, 2009). 2Kirby, “Aristotle on Metaphor,” 527. 2Moon, “Queers in (Single-Family) Space,” 34. Shea, Molly. “Hacking Nostalgia: Super Mario Clouds,” Gnovis 9, no. 2 (Spring 2009), http://gnovisjournal.org/journal/hacking-nostalgia-super-mario-clouds (accessed June 25, 2009). Kirby, John T. “Aristotle on Metaphor,” American Journal of Philology 118, no. 4 (Winter 1997): 524, http://muse.jhu.edu/journals/american_journal_of_philology/v118/118.4.kirby.html (accessed June 25, 2009). Moon, Michael, Eve Kosofsky Sedgwick, Benjamin Gianni, and Scott Weir. “Queers in (Single-Family) Space.” Assemblage 24 (August 1994): 30-7, http://www.jstor.org/stable/3171189 (accessed June 25, 2009). Architectural Digest, October 1996, 82. 1Steven Levy and Brad Stone, “Silicon Valley Reboots,” Newsweek, March 25, 2002, 45. 2Goldberger, “Machines for Living,” 82. 2Levy and Stone, “Silicon Valley Reboots,” 46. Goldberger, Paul. “Machines for Living: The Architectonic Allure of the Automobile.” Architectural Digest, October 1996. Levy, Steven, and Brad Stone. “Silicon Valley Reboots.” Newsweek, March 25, 2002. Follow the guidelines for print magazine articles, adding the URL and date accessed. 1Bill Wyman, “Tony Soprano’s Female Trouble,” Salon.com, May 19, 2001, http://archive.salon.com/ent/tv/feature/2001/05/19/sopranos_final/index.html (accessed June 27, 2009). 1Sasha Frere-Jones, “Hip-Hop President.” New Yorker, November 24, 2008, http://search.ebscohost.com/login.aspx?direct=true&db=aph&AN=35324426&site=ehost-live (accessed June 26, 2009). Wyman, Bill. “Tony Soprano’s Female Trouble.” Salon.com, May 19, 2001, http://archive.salon.com/ent/tv/feature/2001/05/19/sopranos_final/index.html (accessed June 27, 2009). Frere-Jones, Sasha. “Hip-Hop President.” New Yorker, November 24, 2008. http://search.ebscohost.com/login.aspx?direct=true&db=aph&AN=35324426&site=ehost-live (accessed June 26, 2009). In most cases, you will cite newspaper articles only in notes, not in your bibliography. Follow the general pattern for citing magazine articles, although you may omit page numbers. 1Eric Pianin, “Use of Arsenic in Wood Products to End,” Washington Post, February 13, 2002, final edition. 1Eric Pianin, “Use of Arsenic in Wood Products to End,” Washington Post, February 13, 2002, final edition, in LexisNexis Academic (accessed June 27, 2009). Note: In the example above, there was no stable URL for the article in LexisNexis, so the name of the database was given rather than a URL. Follow the pattern below for review articles in any kind of periodical. Times, February 3, 2002, http://proquest.umi.com/pqdweb?did=105338185&sid=2&Fmt=6&clientId=5604&R… (accessed June 26, 2009). 1David Denby, “Killing Joke,” review of No Country for Old Men, directed by Ethan and Joel Coen, New Yorker, February 25, 2008, 72-73, http://search.ebscohost.com/login.aspx?direct=true&db=fah&AN=30033248&si…(accessed June 26, 2009). In most cases, you will be citing something smaller than an entire website. If you are citing an article from a website, for example, follow the guidelines for articles above. You can usually refer to an entire website in running text without including it in your reference list, e.g. : “According to its website, the Financial Accounting Standards Board requires …”. Dartmouth College’s guide explains why and when to cite sources and provides citation examples using APA, MLA, Science citation style and MLA‘s footnote and endnote style. Duke University’s guide to citing sources. The site offers comparison citation tables with examples from APA, Chicago, MLA and Turabian for both print and electronic works. The examples in this excellent guide from the University of Memphis are based on the Chicago Manual of Style and Kate Turabian’s Manual.